Making sure your child is healthy and happy is likely the most important priority to you as a parent. But this doesn’t only revolve around keeping them active or feeding them a balanced meal. These are important steps, but poor oral health has the power to influence many aspects of their daily life. Part of maintaining good oral health is visiting a pediatric dentist in Casper. 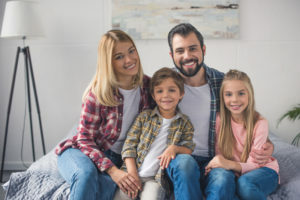 The most common question dentists hear from parents is “when is it time to visit?” Find out by reading our latest blog post! 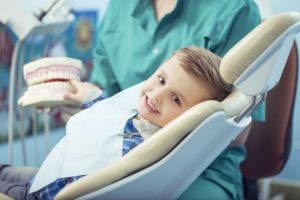 Dentist in Casper Says Use Your Child’s End of Year Benefits! Is your little one covered by your dental insurance plan? If so, it is especially important for you to remember that your unused benefits are likely to expire at the end of this year. Most plans run from January to December and do not roll over from one period to the next. You want to do everything possible to ensure your child’s smile grows into a healthy, beautiful one — and that’s why it’s time to book a checkup and cleaning with their dentist in Casper before the year is up. Comments Off on Dentist in Casper Says Use Your Child’s End of Year Benefits! Many parents are often confounded when deciding which type of toothpaste to give their young child, and your children’s dentist in Casper is here to help. As a general rule, a fluoridated toothpaste is recommended as soon as your child begins cutting his/her first set of teeth. 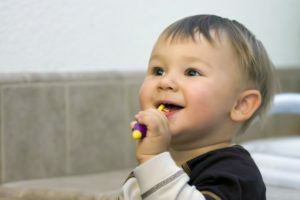 When a toothpaste containing fluoride is used, it is important to only use a rice-sized smear and to wipe the saliva/toothpaste slurry from your child’s mouth after brushing. Excessive fluoride ingestion prior to the age of three can cause mottling in your child’s front teeth, so it is important that your child not swallow the toothpaste. 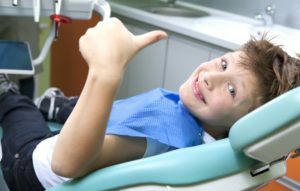 Has your children’s dentist in Casper recently recommended your child receive general anesthesia for an upcoming procedure. It is natural to be concerned about the safety and necessity of general anesthesia. When administered by Casper Surgical Center’s highly-trained anesthesiologists, there are few risks involved. There are times when it is in your child’s best interest to ensure a comfortable and stress-free visit. When Should You Visit a Children’s Orthodontist in Casper? As your child starts losing baby teeth, you’re probably wondering how their permanent smile is going to look. However, the most recent data shows that more and more kids are getting braces in recent years than they ever have before. According to the American Association of Orthodontics (AAO), 4.5 million Americans, 80 percent of which are aged 6 to 18, had braces in the mid-1990s. That’s quadruple the amount of people who had braces in the 1960s. So, when should you make a visit to the children’s orthodontist in Casper? Keep reading to learn that and what to expect from your first visit. Comments Off on When Should You Visit a Children’s Orthodontist in Casper? When baby teeth start falling out, it’s normal to experience a mixture of excitement and worry. It’s exciting to see your child growing up, but the possibility of their teeth growing in crooked could spell disaster if it’s not caught and treated early. That’s why your pediatric dentist in Casper is here to put you at ease. Here are five steps to take the moment you believe your child’s teeth are coming in crooked. 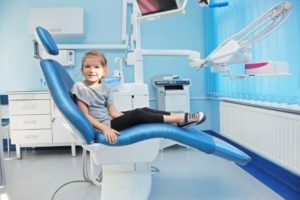 Many dental offices welcome children as patients, but that doesn’t mean they all offer the same level of service and care. At Casper Children’s Dental Clinic, we are committed to excelling in every aspect of our business, and we’re dedicated to making you and your family comfortable from the moment you first contact us. 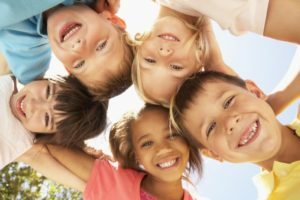 Here are the top three reasons why you should consider choosing us as your children’s dentist in Casper.